drax project famous dex VIDEO Famous Dex & Ed Sheeran's Fav Band, Drax Project Release "Light"
Famous Dex & Ed Sheeran's Fav Band, Drax Project Release "Light"
After last week's viral release of "Japan," Chicago rapper, Famous Dex returns with a surprising pop record, "Light Ft. Drax Project." Dex's debut album, Dex Meets Dexter, will be available everywhere April 6th and is currently available for pre-order now! "Light" follows Dex's Gold chart topping Billboard Hot 100 hit single, "Pick It Up" featuring rap superstar, A$AP Rocky. Dex's latest release, "Japan" is well over 12 million streams in just two weeks. Unlike the previous releases, "Light" nabs elements of pop and r&b that differ from Dex's previous high energy records. 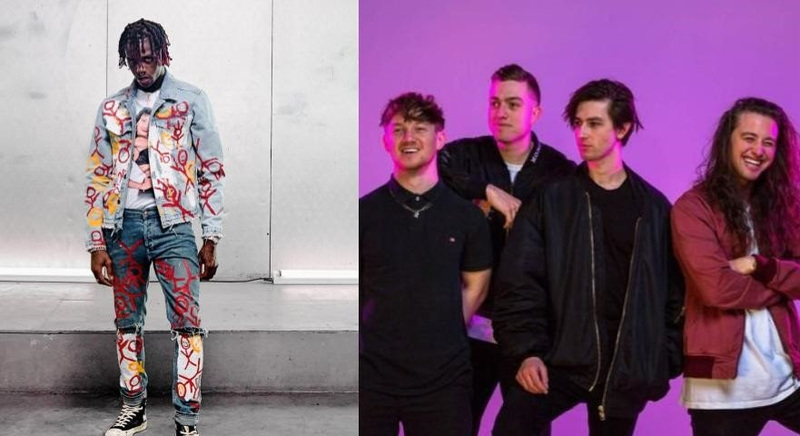 While an unexpected collaboration, the promising pop band, Drax Project is currently on tour with Ed Sheeran shortly after wrapping another tour with Lorde. The New Zealand group just released their catchy new single, "Woke Up Late." Fans will be happy to hear that Dex is experimenting with his sound and challenging himself as an artist on this Dex Meets Dexter album. Since he splashed on the scene in 2015, Famous Dex has had the Internet talking. After signing with Rich the Kid's Rich Forever label imprint, Dex released viral hits like "Drip From My Walk" and "Hit Em Wit It." The Chicago native has worked with fellow hip-hop super stars such as; A$AP Ferg, Lil Yachty, Migos, Trippie Redd, and Playboi Carti. After making an incredible impression on the A$AP Mob, Dexter connected with the group's front-man, A$AP Rocky for an unforgettable collaboration. Take a listen to "Light" below and keep a look out for the official "Japan" music video coming soon! Dex Meets Dexter album will be available everywhere next Friday, April 6th!